Our two most recent posts have dealt with procrastination and proofreading. These seem to bookend the meat of the writing process. While there is no universal writing process that will work for every writer (just like there is no single, ideal product that all writers should produce), listed below are some things you might consider incorporating into almost every substantial, writing project. The following post should provide a brief overview of some commonly agreed upon steps in the writing process so that emerging writers can better understand process-centered writing. For more experienced writers this post can function as encouragement to revisit some of the steps that might have been abandoned over the years. The very first step, and one that may seem obvious, is to acquaint yourself with the expectations or goals of your writing project. Some genres of writing, such as personal journals, are incredibly flexible because they have a narrow audience and the freedom to redefine purpose as needed. 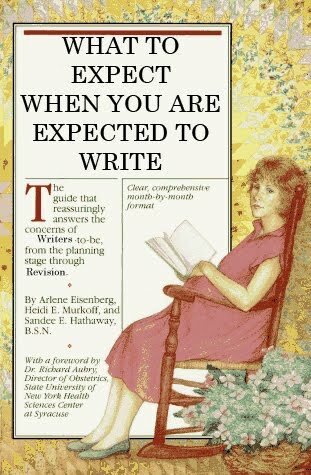 Most writing, however, needs to strike a balance between personal goals and larger, external expectations. As a student it is important to review the assignment prompt. While the whole document is important, pay special attention to the grading criteria as this section tends to distill the specific aims of the given assignment. If the language seems vague or confusing, attempt to clarify the assignment expectations with your instructor. The next step is to generate ideas for your writing. This can be done in a variety of ways, and generally, the best result is produced by using a combination of different methods. You might begin by reading examples of other writers who are working in similar genres, who have completed similar assignments, or who have written on a topic similar to your own. Alternately, you might begin by brainstorming and writing everything you know about your subject and the assignment. Brainstorming can work to generate great search terms to find readings, or, alternately, reading before brainstorming can generate more complex ideas. Other early writing strategies include free writing, mapping, and outlining. Outlining is the step that many take to see how the ideas they have generated can be organized. Refer back to your assignment prompt to get a sense for the length and scope of the assignment. Remember that you are building the puzzle at the same time that you are putting it together. This means that you shouldn't be surprised if you end up with extra pieces or need to create a few more later in the process. Save the ideas you don't use, and repeat a mini-version of the generative stage of the process to get additional ideas. When you begin the drafting process try to leave yourself enough time so that you can take the work in parts. Hemingway once said, "I learned never to empty the well of my writing, but always to stop when there was till something there in the deep part of the well, and let it refill at night from the springs that fed it." He did this by never stopping at the end of a page or an idea. This prevents writers from staring blankly at a blank page. Again, this does require time management, unless you have a schedule like Jake Barnes in The Sun Also Rises, but the result is that writing becomes infinitely less intimidating because every time you sit down you already have a sense of where you left off and where you are going. As you write, experiment with what allows you to produce the best product. If you find that silence is louder than music, experiment with classical, jazz, or electronic music to set a tempo for your writing without the potential distraction of lyrics. If these genres sound unappealing, try a genre of music you enjoy, but with lyrics in a language you don't speak. This can work in much the same way as instrumental music, and all these options can be explored for free using Pandora. Writing can be an aversive activity for many people. As a result, writing tasks are often put off until the last minute, and this actually works to reinforce initial attitudes toward writing. I can't tell you how many self-proclaimed "bad" writers I've met who, upon further inspection, always write at the end of the day. Before you settle upon a negative view of your writing, try to schedule writing at different times of the day in order to figure out what time works best for you. Finally, even those who love writing acknowledge it is often grueling work. One thing to be aware of is fatigue. For example, staring too long at a computer screen can begin to hurt your eyes, and this, in turn, can cause headaches. Try building short breaks into your writing process. Experiment with lengths of time you dedicate to writing and breaks. Most business guidelines recommend a ten to fifteen minute break every hour. Use this time to stand, stretch, get coffee/tea/water, and check your e-mail or text a friend. Avoid any activity that allows you to become passive (e.g. online videos or television) because, after your brain shuts down, it can take an additional ten or fifteen minutes for it to reboot. Once you have a draft, the next step is to get a second opinion. While peer review is built into many writing classes, remember that Writing Center tutors are available to work with you at any stage of the writing process. Regardless of where you get feedback on your writing, try to stay active in the process. Depending on the situation, this could be as simple as reading along with someone else and asking questions or, as you look at a peer's draft, taking notes on tricks you see in their writing that you want to use in your own work. Rewriting should be treated with the same seriousness that you give the initial stages of writing. Try breaking the text into pieces by cutting and pasting sections (a sentence, a paragraph, a page) into a new document. What does this method allow you to notice that looking at the full document does not? What are the limitations of this approach? Having hung on to your pre-writing notes, try using a program like Wordle. If the biggest words in the word cloud match the words on your notes you can be fairly certain you have stuck to your original plan. If you find a discrepancy it might be an indication to revisit your paper to see if you are really accomplishing what you had hoped to accomplish. Continue to alternate between getting fresh eyes on your paper and rewriting for as long as you can. When it gets close to the date you have to submit your work, reread the post on proofreading. If you are reading this post in order to avoid doing work, you may want to take the extra couple minutes to reread the post on procrastination. Finally, if you are a WVU student and you'd like to work with a tutor, give us a call at 304-293-5788 to set up an appointment.